Join us for a ride to lunch! 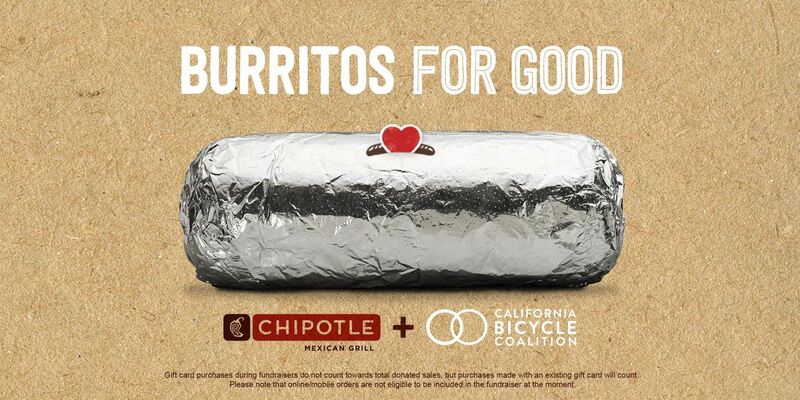 On May 31st, half of all the money spent at Chipotles statewide will be donated to Calbike when you mention....Calbike! We're going to ride as a group to the Chipotle at Pacific View Mall from the HUB on Thursday. Come along!